Tour the South Rim of Grand Canyon National ParkThe best in Grand Canyon lodging is at the Holiday Inn Express Hotel & Suites Grand Canyon located just a mile from the South Rim entrance which is open all year round and has some of the most spectacular views that can only been seen well during the winter months.For an unforgettable experience, bring your family to the Grand Canyon National Park. 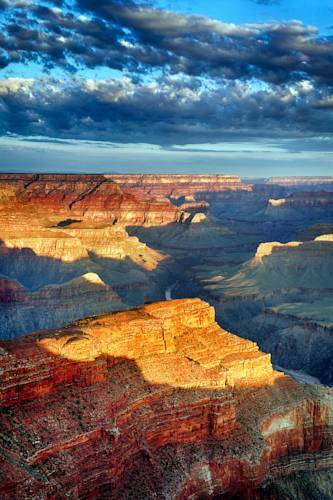 Lodging with us allows you to see great sites, like the Desert View Watchtower and National Geographic IMAX Theater. We're also near a number of tour agencies, offering airplane, helicopter, jeep, horseback riding and rafting excursions and the front desk will be happy to assist with making reservations. Within walking distance are several full service and fast food dining options that make our hotels convenient location a top destination.Located near the Grand Canyon National Park Airport (GCN), enjoy our signature cinnamon rolls from the free Express Start Breakfast Bar to give you fuel. After touring the canyon and enjoying the world famous sunsets, unwind with a swim in the indoor pool and whirlpool, and now you can surf the web on the fastest High Speed Internet access available in Tusayan, AZ. All of our guest rooms include a Mini Fridge and Microwave perfect for any midday snack. No matter what brings you to the Grand Canyon South Rim, our hotel is the best way to "Stay Smart." Plaza Bonita: Family friendly Mexican Restaurant with authentic and fresh Mexican cuisine. Big E Steakhouse & Saloon: Steaks, seafood, and vegetarian entrees. The main dining area features a 200 sq ft video wall with imagery of the American Southwest. Patio dining is available. Wendy's: The perfect solution for travelers on the go. Quality food at a good value. Pick up a picnic lunch and eat along the rim of the Grand Canyon. Williams JunctionTrain departs from Williams, AZ at 8am to Grand Canyon Nat'l Park (you will not be able to see the Grand Canyon during the trip) train will arrive at the Grand Canyon rail station and will again depart at 4pm to return to Williams, AZ train station.